One of the best food in Singapore is definitely Chicken Rice. For the uninitiated, chicken rice is basically steamed/roasted chicken and white rice, served with chilli sauce, ginger, and dark soy sauce. Every time I have chicken rice, I wonder why I don’t eat it more often. Especially when there are so many good ones around. 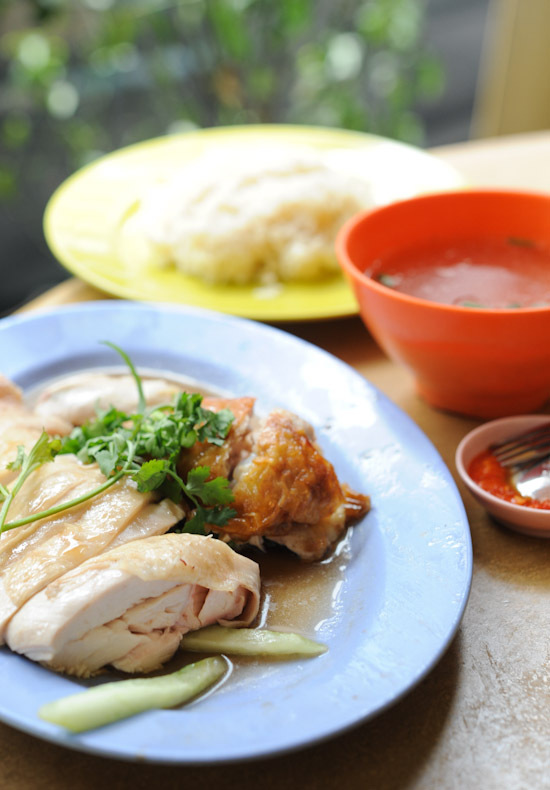 Everyone has their favourites, Singaporeans always like to debate on where is the best chicken rice in Singapore. Of course, I have my own favourite chicken rice stalls, but I’m always on the lookout for new places to try. Chin Chin Eating House at Purvis Street has always been known for their chicken rice, so when I happened to be in the area, I suggested going there for lunch. For some reason, I was craving for Hainanese Pork Chop, and as soon as I saw it on their menu, I ordered a portion. I liked Chin Chin Chicken Rice well enough to go back again, although I don’t think they are the best chicken rice I’ve had. Don’t get me wrong, though. The chicken, the rice, the chilli, they are all good. But it just didn’t wow me. The Pork Chop too, was decent, but not life-changing. If you are thinking of where to eat in the City Hall/Bugis area, Chin Chin Eating House at Purvis Street might just be the place to go. YY Kafei Dian has good hainanese pork chops! I love the pork chop from Killiney Cafe at UOB Kiay Hian Buidling next to Ministry of Environment.